UPDATE: A new photo has surfaced for the residency. 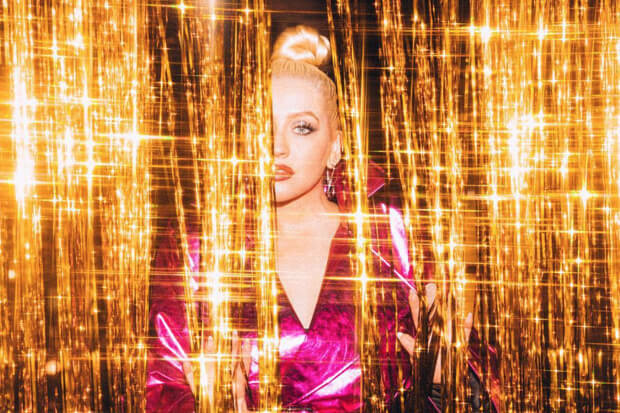 It appears that the show will be called The Xperience (iconic), and Christina is serving a bedazzled look in the pic. She has also taken to Instagram to share a behind the scenes video from the accompanying shoot and to confirm a couple additional promotional appearances for the week! Check out all the new details below! It looks like Christina Aguilera is the latest pop icon to descend on the Las Vegas Strip. Last week, Watch What Happens Live host Andy Cohen announced she was making an appearance on the show and urged fans to submit questions for the diva. Friday (January 25) Stan Twitter lit up with rumors that Legend X had shared some big news during the taping. An image of her iconic red lips circulated with a promise that something was on the way January 31, the same day her episode airs. Instant speculation was that she’d be providing an update on new music or perhaps teasing a performance at the 2019 Grammys. In his tweet, Cohen referred to Xtina as a “GRAMMY WINNING SUPERSTAR,” so this seemed fairly likely. However, the announcement in question appears to have come a little early. Today (January 28), fans noticed that Christina’s official website listed a string of performances taking place at Zappos Theater in Sin City this summer. Billed as a continuation of her Liberation Tour, the first show is scheduled for May 31. Tickets will be available for pre-order as soon as tomorrow morning. It is unclear if this is the news the “Fall In Line” hitmaker was planning on sharing on WWHL. 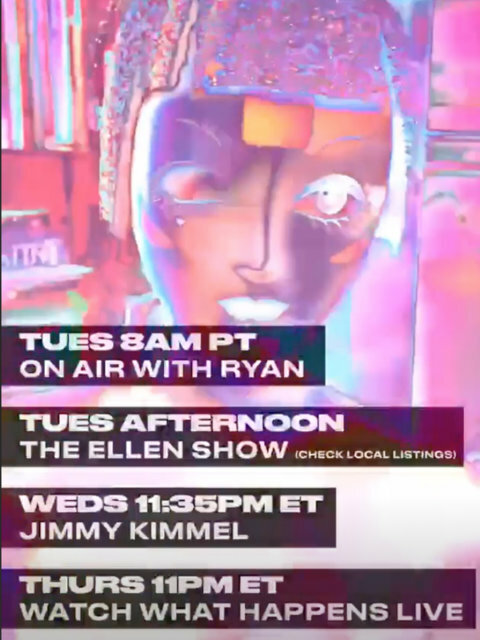 Perhaps she is planning on dropping a new single to coincide with the residency? After all, she did tease footage from a video for “Wonderland” last year. All will be revealed later this week. In the meantime, check out the residency dates below! Will you see Xtina’s show? Let us know below, or by hitting us up on Facebook and Twitter!